Three bedroom family home which would be an ideal purchase for a first time buyer. 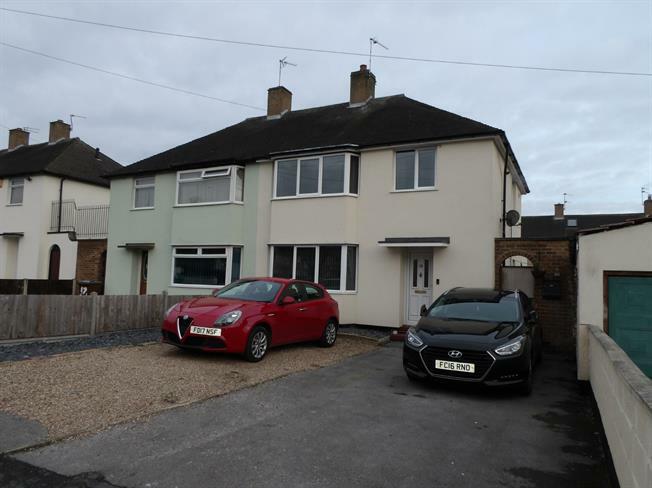 The property benefits from two reception rooms, fitted kitchen, gas central heating, double glazing, external insulation and off road parking for several cars. The accommodation comprises entrance hall, lounge, dining room, fitted kitchen, stairs to landing, three bedrooms, bathroom. To the front there is off road parking for several cars, enclosed rear gardens with outbuildings/utility. VIEWING A MUST!!! UPVC front double glazed door. Radiator, carpeted flooring, under stair storage, stairs to landing. UPVC side double glazed door. Double glazed uPVC window. Plinth heater, part tiled walls. Roll edge work surface, wall, base and drawer units, single sink, electric oven, electric hob, overhead extractor, integrated dishwasher. Double bedroom; double glazed bay window facing the front. Radiator, carpeted flooring, built-in storage cupboard. Single bedroom; double glazed uPVC window facing the rear. Radiator, carpeted flooring, built-in storage cupboard. To the front there is off road parking for several cars. Enclosed rear gardens comprising pebbled area, fencing, storage outbuilding, toilet, utility with plumbing for a washing machine.